In collaboration with Caradonna Dive Adventures, Ocean Doctor president, Dr. David E. Guggenheim will present a 45-minute seminar on “Legal Travel to Cuba for U.S. Citizens” at Boston Sea Rovers 2014, detailing Ocean Doctor’s Cuba Travel Program featuring Cuba’s Gardens of the Queen. The Boston Sea Rovers is a not for profit volunteer organization dedicated to increasing awareness and appreciation of the marine environment. We are one of the oldest and most distinguished underwater clubs in America , and have a worldwide reputation of excellence. While the membership has changed repeatedly over the years, we still hold true to a pledge that was inspired in 1954, and we remain dedicated to “Raising the Level of Knowledge of the Underwater World”. In order to achieve this lofty goal, the early members of the club designed and invented the first underwater film show available to the general public. They called that first production a Clinic, and we have held the event every year since. The Clinic now comprises an entire weekend, which is typically the second full weekend in March. The event is held at the Doubletree by Hilton Hotel-Boston North Shore. The Clinic consists of a world renowned film festival where international underwater film makers present and premier their most recent works, over forty daytime seminars covering a wide variety of topics, workshops focused on hands-on training, and an exhibit hall filled with equipment, travel destinations, dive clubs, and more. 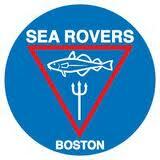 Founded when SCUBA diving was still in its infancy, The Boston Sea Rovers are a group of people from diverse and varied backgrounds, who share the common bond of a love for diving and for the ocean.